Brad Wright's time-travel drama is back for a new season ... starting in just one month. Welcome back to the 21st! 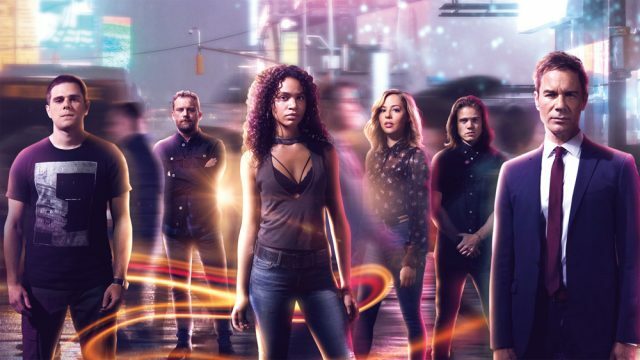 As expected Netflix is holding to its end-of-year window to drop another new season of the hit time-travel drama Travelers, created by former Stargate executive producer Brad Wright. The streaming giant announced today that Season Three of the show will land on Friday, December 14. 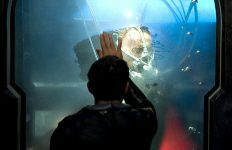 Erik McCormack leads a cast of characters whose conscious minds have been sent from an apocalyptic future back in time to the present day. There are thousands of such Travelers, and their (supposedly) carefully orchestrated acts of interference in history were meant to change things for the better. But mistakes and rogue operatives have complicated things along the way. Travelers features a number of familiar faces from the Stargate family. SGU‘s Patrick Gilmore (“Dale Volker”) is a series-regular, playing David Mailer. Jennifer Spence (“Lisa Park”) recurs as Grace Day, and Teryl Rothery (“Janet Fraiser”) turns up now and again as Trevor’s mom, Patricia. 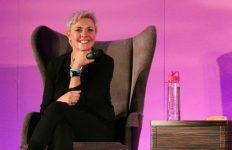 Amanda Tapping returns this season as Dr. Perrow. The series also stars MacKenzie Porter, Nesta Cooper, Jared Abrahamson, and Reilly Dolman. Travelers was initially a co-production with Canada’s premium TV network Showcase. With the third season, however, the Canadian series becomes a Netflix-exclusive production — so viewers in Canada, as well as the rest of the world, can look for the new season to drop in just a month. Keep up with Travelers or refresh your memory with our episode guide on GateWorld’s genre TV companion site, SciFi Stream! 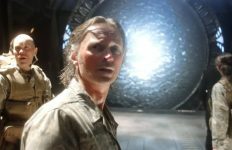 Reilly Dolman was also in SGU’s “Common Descent” and “Epilogue”, as well as appearances by Louis Ferreira and Tom McBeath. 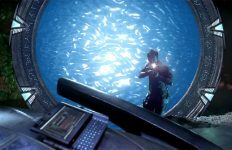 I do really feel that Brad Wright is wasting his talent and could be doing much better, though.. I’m a huge fan of The Outer Limits and the entire Stargate franchise, and after those.. Travelers is a bit dull and rides the line of mediocrity quite consistently.